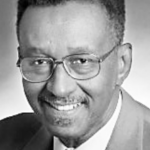 Walter Williams is the John M. Olin distinguished professor of economics at George Mason University. He holds a B.A. from California State University at Los Angeles and an M.A. and a Ph.D. in economics from UCLA. He has received numerous fellowships and awards, including a Hoover Institution National Fellowship and the Valley Forge Freedoms Foundation George Washington Medal of Honor. A nationally syndicated columnist, his articles and essays have appeared in publications such as Economic Inquiry, American Economic Review, National Review, Reader’s Digest, Policy Review and Newsweek. Dr. Williams has authored six books, including The State Against Blacks (later made into a PBS documentary entitled Good Intentions) and Liberty Versus the Tyranny of Socialism. Dr. Williams delivered the following remarks to a standing-room-only audience of students, faculty, and guests on the Hillsdale College campus during the March 2000 Center for Constructive Alternatives seminar, “Competition or Compulsion? The Market Economy vs. the New Social Engineering,” co-sponsored by the College’s Ludwig von Mises Lecture Series. What did the founders of the United States see as the legitimate role of government? To answer that question we should turn to the rule book they gave us: the United States Constitution. Most of what they considered legitimate functions of the federal government are found in Article I, Section 8 of our Constitution, which says, in part: “The Congress shall have Power To lay and collect Taxes, Duties, Imposts and Excises, to pay the Debts and provide for the common Defense and general Welfare of the United States…To borrow Money on the credit of the United States…To regulate Commerce with foreign Nations, and among the several States, and with the Indian tribes…To coin money…To establish Post Offices and post Roads…To raise and support Armies.” The framers granted Congress taxing and spending powers for a few other activities, but nowhere in the Constitution do we find authority for up to threequarters of what Congress taxes and spends for today. There is no constitutional authorization for farm subsidies, bank bailouts, or food stamps—not to mention midnight basketball. We have made a significant departure from the constitutional principles of individual freedom and limited government that made us a rich nation in the first place. These principles of freedom were embodied in our nation through the combined institutions of private ownership of property and free enterprise, both of which have suffered devastating attacks and are mere skeletons of what they were in the past. Private property performs at least two important social functions: it encourages people to do voluntarily what is in the social interest, and it minimizes the coercive power that one man or the state can have over another. And it performs these functions without appeals to beneficence. I do not care much about future generations. After all, what has a child born in 2050 A.D. ever done for me? My actions, however, do not reflect this personal sentiment. Several years ago I planted young trees on my property and made other improvements. I will be dead by the time the trees mature. A child born in 2050 A.D. will enjoy the fruits of my sacrifices. I could just as easily have spent the money for steaks and fine Bordeaux wine, which I would have fully enjoyed all to myself. Why did I make these improvements to my property? At least part of the reason is that I will get a higher price when I sell the property if its quality is higher and it can be expected to provide housing services for a longer period of time. By pursuing my own interest, I made it possible for future generations to have a nice house. Would I have had the same strong incentive if the government owned my house? Obviously not. Look around the world: you will see that what receives the least care tends to be commonly owned; that which receives the best care tends to be privately owned. In free markets one’s personal wealth is held hostage to socially responsible behavior. To take another example, the citizens of New York derive their daily meals not from the benevolence of the Missouri farmer (who may in fact hate New Yorkers) but because it is in his own private self-interest to supply them. Most things get done because of self interest and private property rights. The Founders understood that relatively free markets are the most effective form of social organization for promoting individual freedom. Indeed, capitalism is defined as a system wherein individuals are free to pursue their own interests, make voluntary exchanges, and hold private property rights in goods and services. Much of the original intent of the United States Constitution, as seen in the document itself and in the Federalist Papers that advocated its ratification, was to bring about a climate in which this kind of social organization could occur. In a free society, most relationships should be voluntary, and involuntary exchange should be minimized. Widespread private control and ownership of property is consistent with this objective. Despite the size and alleged power of industrial giants like IBM, AT&T, and General Motors, in a free market they cannot get a dollar from me unless I volunteer to give it to them. Widespread government ownership and/or control of property is the antithesis of voluntary exchange. Government is the major source of forced exchanges, the most prominent of which is taxation. Anything that weakens the institution of private property interferes with the attainment of the socially desirable outcomes just described. Taxes represent government claims on private property. As taxes rise, you own less and less of what you earn. If the tax rate were ever to reach 100 percent, the government would have destroyed private property, and you would own none of what you had earned. Keep in mind that a working definition of slavery is that you work but do not have any rights to the fruit of your labor. Taxation and regulation constitute the confiscation of some or all of the freedom to own and use property. This confiscation has reached unprecedented proportions. In 1902 expenditures at all levels of government totaled $1.7 billion, and the average taxpayer paid only $60 a year in taxes. In fact, from 1787 to 1920, federal expenditures never exceeded 4 percent of the Gross National Product (GNP), except in wartime. Today federal expenditures alone are $1.8 trillion—almost 30 percent of GNP—and state and local governments spend over a trillion more. The average taxpayer now pays more than $8,000 a year, working from January 1 to May 8 to pay federal, state, and local taxes. In addition to the out-of-pocket cost, Americans spend 5.4 billion hours each year complying with the federal tax code—roughly the equivalent of 3 million people working full time. If it were employed in productive activity, the labor now devoted to tax compliance would be worth $232 billion annually. The federal cost of hiring 93,000 IRS employees is $6 billion. If these Americans weren’t fooling around with the tax code, they could produce the entire annual output of the aircraft, trucking, auto, and food-processing industries combined. In the vanguard of this totalitarian movement are defenders of the “new human rights,” the chief advocates of curtailing rights to property and profits. They are anti-competition and pro-monopoly. They support control and coercion by the state. They believe that they have more intelligence and wisdom than the masses and that they are ordained to impose that wisdom forcibly on the rest of us. They want to replace the market with economic planning, which is nothing more than the forcible superseding of other people’s plans by a powerful elite. Of course they have what they call good reasons, but every tyrant has what he calls a good reason for restricting the freedom of others. The elites’ assault on the principles of freedom would have been less devastating had not Americans from all walks of life, whether they realized it or not, demonstrated a deep and abiding contempt for private property rights and economic freedom that stemmed primarily from their desire for government to do good. They decided that government should care for the poor, the disadvantaged, the elderly, failing businesses, college students, and many other “deserving” segments of our society. It’s nice to do those things, but we have to recognize that government has no resources of its own. Congressmen and senators are not spending their own money for these programs. Furthermore, there is no Tooth Fairy or Santa Claus who gives them the resources. The only way the government can give one American one dollar is to confiscate it first, under intimidation, threats, and coercion, from another American. In other words, for government to do good, it must first do evil. If a private person were to do the things that government does, he would be condemned as a common thief. The only difference is legality, and legality alone is no talisman for moral people. This reasoning explains why socialism is evil. It uses bad means (coercion) to achieve what are seen as good ends (helping people). Government was not long in the business of doing good before Americans found they could use government to live at the expense of other Americans, both through the tax code and through “privilege granting,” a government activity that dates back to medieval times in Europe, where guilds and mercantile associations controlled trade in their particular areas. With a payment to the king or a reigning lord they were granted monopoly privileges. In modern times, we have the equivalent; we just call them political contributions. Almost every group in the nation has come to feel that the government owes it a special privilege or favor. Manufacturers feel that the government owes them protective tariffs. Farmers feel that the government owes them crop subsidies. Unions feel that the government should keep their jobs protected from non-union competition. Residents of coastal areas feel that the government should give them funds for rivers and harbors. Intellectuals feel that the government should give them funds for research. The unemployed and the unemployable feel that the government owes them a living. Big business feels that the government should protect them from the rigors of market competition. Members of almost every occupation, profession, or trade feel that the government should use licensing requirements and other forms of regulation to protect their incomes from competition that would be caused by others entering the trade. Conservatives are by no means exempt from this practice. They rail against food stamps, legal aid, and Aid to Families with Dependent Children, but they come out in favor of aid to dependent farmers, aid to dependent banks, and aid to dependent motorcycle companies. They don’t have a moral leg to stand on. They merely prove to the nation that it is just a matter of whose ox is being gored. Conservatives as well as liberals validate H. L. Mencken’s definition of an election: “—government is a broker in pillage, and every election is a sort of advance auction sale of stolen goods.” To the extent he was right, we must acknowledge that we, not the politicians, are the problem. If the Founders were to come back to today’s America, I think they would be very disappointed in our choice to accept what we see as safety in exchange for liberty. But I would also say that it is not too late for us to wake up and respond to the erosion of our liberties. Americans have never done wrong things for a long while. But we must get about the task of putting government back where our Founders intended while we have the liberty to do so.